There are few things in life that can be more traumatic for you than involvement in an accident. Injuries that you may suffer in an accident can completely turn your life around. You may end up spending time in the hospital, lose time at work, or even end up with a permanent disability that can affect you long-term. When something like this happens to you, you need to know that you have a place to turn to for assistance, particularly if another party has caused the accident. We want you to know that here at Belal Hamideh Law, we can be there for you to provide you with the guidance, assistance, and protection you need at this time. If you are looking for a law firm in the area, you will find that there are many different lawyers that seek to get your business. The problem is that some these firms do not specialize in personal injury law. They consider themselves to be “Jack of all trades” and do not necessarily know all of the ins and outs of personal injury cases. They may not be able to provide you with the unique insight that we can give to you. At Belal Hamideh Law, personal injury cases are the only type of cases that we handle. You can be sure that you will get expert advice and someone with detailed experience in cases like yours to represent you. It is only natural that you might be concerned about what it will cost to hire an attorney to proceed with your case. We understand your concerns and all of the cases that we take are at no financial risk to you. There are no charges at all to you during the case until we win the case or there is a settlement in your favor. You will not have to pay anything at all out of your pocket if there is a decision against you. You can then have peace of mind throughout the proceedings, knowing you do not have to worry about what costs you may be incurring. 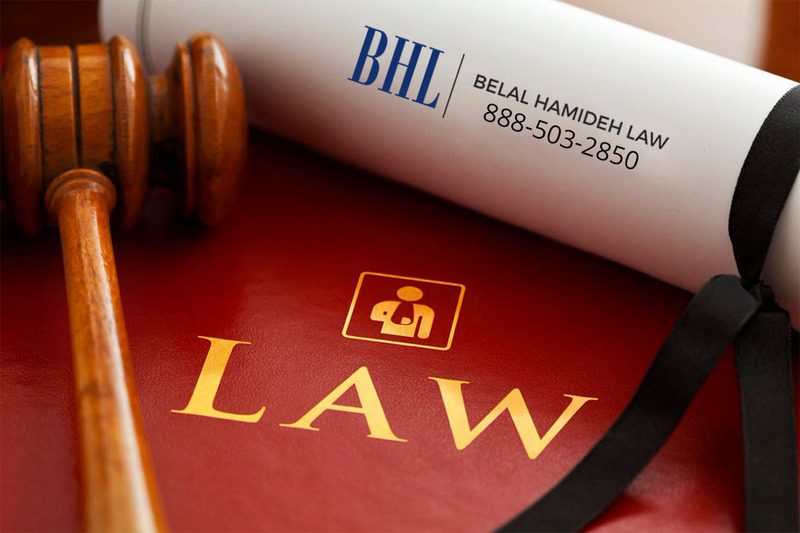 Take the time to make a call to us at Belal Hamideh Law at 888-503-2850 so that you can arrange for a free consultation regarding your case. You can speak to us in a safe and confidential atmosphere, discuss your case fully, and we will present you with the best options available going forward. We are the law firm that you can trust to do right by you and work to get the maximum settlement that you deserve in your case.